Marks/Label: Engraved on back of Efficiency Decoration "Major / H.M. Bryson". The medals are attributed to Major Harold Bryson. 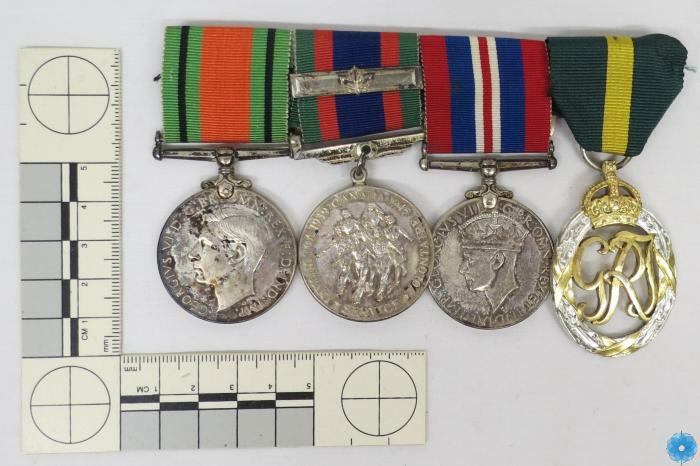 Description: A group of four mounted medals with ribbons consisting of the Defence Medal, Canadian Volunteer Service Medal and clasp, War Medal 1939-45 and Efficiency Decoration, attributed to a named individual.